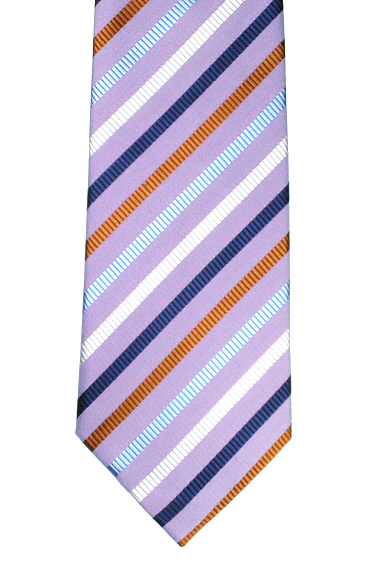 A lilac tie with light blue, dark gold, navy and white stripes. Smart striped silk tie with purples, blues, maroon and a touch of pink and white. An extremely smart black and silver clip on tie in wide diagonal stripes. Would suit both work or evening functions.